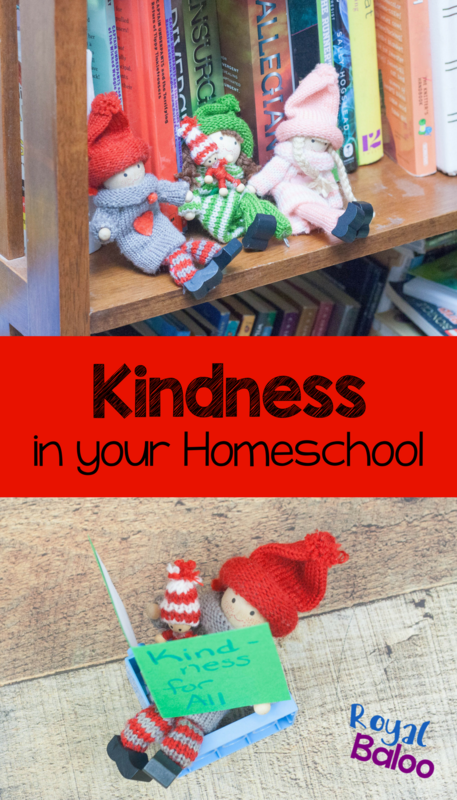 How do you involve teaching kindness with your everyday homeschool schedule? It isn’t always easy to model kindness but these elves make it more simple. Last year I chose a word of the year to focus on for myself. I wanted a word I could refer back to anytime I felt like I was losing my way or just needed a reminder. It helped me to stay on task and accomplish my goals. So I decided it was time to choose a word for our homeschool year. My kids are still young enough (6, 8, and 11) that I don’t worry about fitting everything into our homeschool day. Our number 1 goal is making learning fun which really leaves a lot of time to fit in more. Our word for this year is KINDNESS. Why kindness? Well, I think everyone can use more kindness in their lives. It’s the sort of attitude that spreads and creates more and more kindness. Plus, I think kindness isn’t always something kids develop on their own. I have two ideas for approaching kindness. Kindness Elves. We got one set for last Christmas/Winter and decided to just not put them away. They were such a happy presence that I wasn’t willing to give them up. Now we have another set and a happy little Kindness Elf family. Books! Books are an easy and low-risk way to teach empathy and kindness. 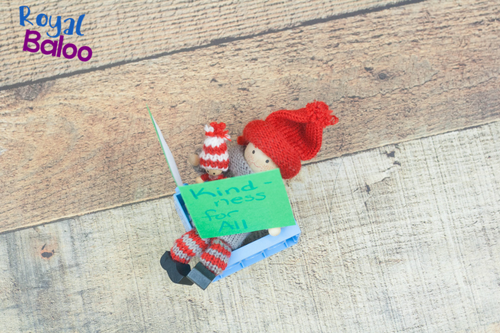 First, the Kindness Elves are always out and serve as a reminder to be kind. They are the perfect size to be able to carry with us or leave in random visible places. Second, the Kindness Elves will randomly send mail to us with ideas for kind gestures we can do (i.e. I will randomly send mail to my kids from the Kindness Elves). Sometimes it’ll be random (send a letter to a friend, give cookies to a neighbor, etc). And sometimes it’ll be more directed when we’ve had a hard time with kindness or two brothers aren’t particularly getting along. It’ll be an easy way to intervene and give them ideas for ‘in the moment’ kindness. We’re starting off by using the Camp Kindness E-Book for ideas that we can do regularly. Third, we will read, read, and read. Books already have a tendency to show great examples of empathy. But they’re especially useful because we truly care about the characters and while we would be upset if something bad happened, they’re not exactly real people. We can feel their pain and know first hand how actions can affect people. But since it’s not really real, the risk of harm is low. I’d provide a book list for this but I really think almost any book would work. All books bring us to the experience of someone else and strengthen our ability to see events from another’s point of view. Just read to/with your kids and you’ll be working on empathy!